This is a beautiful card Judy. I love the knot that you have added onto the front, it really does give that nautical feel to the card. Hi Judy love your fabulous male card and I agree with Dot the knot is a work of art. 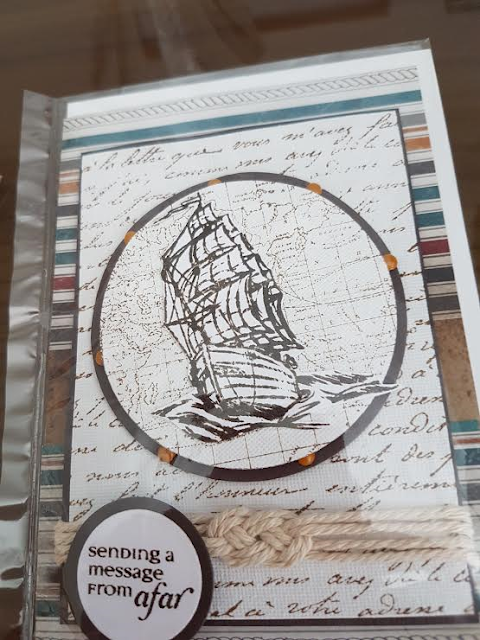 It's a super masculine card and a great design as well, many thanks for sharing with us at Fashionable Stamping Challenges.